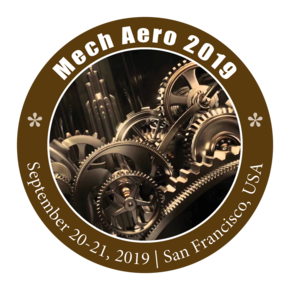 Conference Series LLC takes the privilege to invite speakers, participants, students, delegates and exhibitors from across the globe to its premier Mech Aero 2019, to be held during September 20-21, 2019, at San Francisco, USA. This revered conference will be focusing on the theme “Modern Practices in Mechanical & Aerospace Engineering”. Conference Series LLC organize 3000+ Global Conference series Events inclusive of 600+ Conferences, 1200+ Workshops and 1200+ Symposiums Every Year across the USA, Europe & Asia with support from 1000 more scientific societies and 50000 eminent personalities.